Beautiful card, love Visible Image stamps. I bought this one recently and your card has inspired me to get it out and get it inked up. 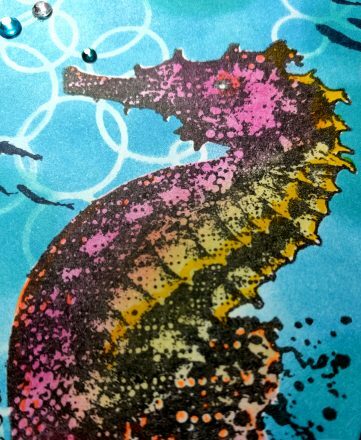 That really is a beautiful stamp and I love the way you’ve used it on that gorgeous background! Nearly missed this beauty! 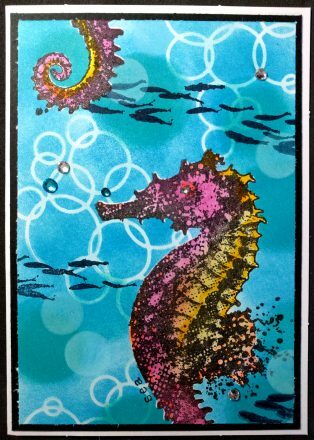 Love the clever image split top/bottom and the bubbles in the background look great with your funky seahorse!